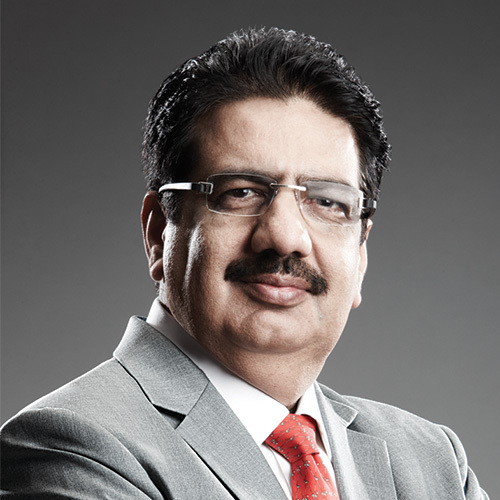 Vineet Nayar is Founder Chairman of Sampark Foundation and former CEO of HCL Technologies (for wiki profile) and author of the highly acclaimed management bestseller “Employees First, Customers Second: Turning Conventional Management Upside Down” (Harvard Business Press, June 2010). A management visionary and radical thinker, Vineet led the transformation of HCL Technologies into one of India’s fastest-growing global information technology services company, growing from $0.7 billion in 2005 to a $4.7 billion Global Technology Services Company with over 85,000 employees across 32 countries in 2013. This radical transformation led Fortune to recognize HCLT as “the world’s most modern management” while BusinessWeek named HCLT as “one of the world’s most influential companies”; which led its innovative management practices to be taught as a case study at both the Harvard Business School and London Business School. Vineet, in turn, was chosen by Fortune Magazine for its first-ever global Executive Dream Team and also found a place on the elite Thinkers 50 List. His ideas of organization transformation have received rich praise from influencers like the late C.K. Prahalad, Tom Peters, Gary Hamel, and Ram Charan. Vineet stepped down from the company in 2013 to focus on Sampark Foundation, co-founded with his wife Anupama Nayar, to catalyse ‘large-scale transformation in primary education through frugal innovation’. Today, Sampark Foundation is transforming learning outcomes of 7 million children studying in 76,000 rural schools across 6 states in India: Chhattisgarh, Haryana, Himachal Pradesh, Utter Pradesh, Uttarakhand, and Jharkhand at less than $1 per child per pa. This large-scale transformation is now a ‘case study’ at Harvard Business School. Vineet has been cited by Forbes in its ‘Heroes of Philanthropy List 2016’ and also as a ‘Global Thinker 2016’ by Foreign Policy magazine for ‘unplugging technology so kids can learn’ along with his wife. Vineet joined HCL in 1985 after earning his MBA from XLRI. In 1993, he founded the start-up Comnet, where he developed and put into practice many of the ideas described in this book, transforming it into a multi-billion-dollar business. In 2005, he became president and in 2007, the CEO of HCL Technologies, where over the next five years, he led a remarkable turnaround. Vineet currently serves as a Senior Advisor to the Fortune 1000 companies. He is on the Advisory Board of the Millions Learning Project led by the ex-Prime Minister of Australia, Julia Gillard and has served as Governor of ICT, member of the Global Advisory Board of Women Leaders and Gender Parity Program at the World Economic Forum. And, as a mentor to multiple technology led start-ups, he continues to follow his passion of turning conventional management wisdom, upside down.